I have constantly made one request for authors of Disney College Program memoirs. Please bring me more Dole Whip! Now Sara takes me straight to the machine! Sara Earns Her Ears: My Secret Walt Disney World Cast Member Diary by Sara Lopes provides a Californian's perspective of the Disney College Program in Walt Disney World. Lopes details her love of Disney and how she prepared and applied for the Disney College Program. Additionally she walks through her interview process and steps from acceptance to moving cross country. The author was cast to work at Capt. Cook's at the Polynesian Resort. And that brought her straight to the Dole Whip machine itself! Along with work, Lopes details the entertainment experiences available to her such as Goofy's Mystery Tour, a scavenger hunt/trivia event for cast members. Lopes ends her memoir with a appendix of helpers that includes a study guide for interview questions and a packing list. In other memoirs it has been clear that social media is a huge support. In Lopes' memoir this fact is emphasized several times. Lopes shows how to use Facebook, blogging and YouTube to both learn about the program and connect with others. I was even shocked to see that not only Lopes but other Disney College Program members were active with blogs and videos even during their time in Disney employment. It is likely these online tools that aided Lopes to pick roommates that largely matched her personality. Lopes continues this social media participation with her own blog The Disney Den, which has additional information about the Disney College Program experience. Like with all good books in this genre, there are plenty of helpful tips to assist the potential Disney College Program member. First, do not be neutral. A sure-fire way to not be cast is to be lukewarm to the experience in interview responses. Another great and helpful tip is if flying do not over pack. If you are not driving to Florida, you will be forced by the airlines to choose carefully what you bring instead of buying in Orlando. 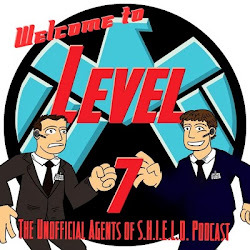 Third, Lopes describes the process of being deployed, working at a new site, and what a cast member can expect from the experience. I am finally a happy boy. 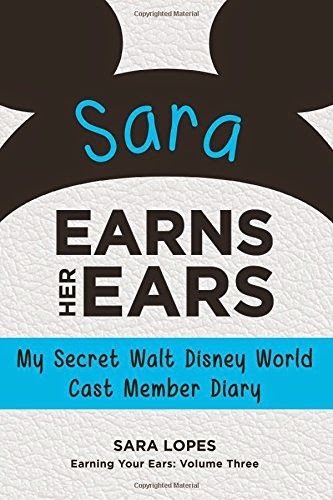 Sara Earns Her Ears is a title with helpful hints and tools for those wishing to get accepted into the Disney College Program. For someone like me though, it made me crave Dole Whip as Sara ate her first Dole Whip, sold Dole Whip, and championed the awesomeness of Dole Whip. I guess I need to find a new fatal flaw to complain about!